Last week, we talked about what happens in the body when we experience stress, and how movement can help to dissipate stress that is already in our bodies. Today, we’ll be talking about the breath. 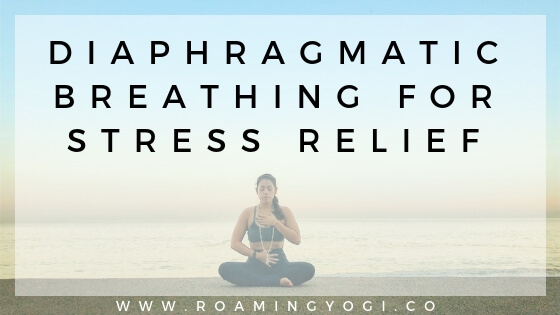 Specifically, how breathing exercises for stress, like diaphragmatic breathing, can bring us back to calm, or keep us from succumbing to stress. From last week’s post, we know that the body’s fight or flight response is automatically activated whenever we experience stress. And we know that this response floods our system with stress hormones that can have an adverse effect on our bodies if they are in our system for too long. Well, the body has a counter response to fight or flight mode, and that’s what we want to focus on turning on whenever we feel stress. I’m talking about rest and digest mode. The rest + digest response is the body’s parasympathetic nervous system (where fight or flight is the sympathetic nervous system). The fight or flight and rest + digest responses work together to keep us balanced. The rest + digest response stops the fight or flight response and it’s accompanying effects. 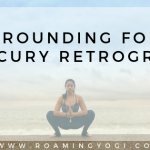 This allows the body and mind to return to neutral. The rest + digest response signals to the body that stress is over – the stressor is gone. This initiates the relaxation response, which allows hormone levels to return to normal. As adrenaline and cortisol levels drop, heart rate and blood pressure return to normal levels. At the same time, other systems, like digestion, resume their regular activities. Both the sympathetic nervous system (fight or flight) and the parasympathetic nervous system (rest + digest) are part of the Autonomic Nervous System (ANS). The ANS connects the brain with various organs in the body, like the heart, the stomach, and the intestines. The ANS operates involuntarily and reflexively, controlling things like breathing, blood pressure, digestion, and heart rate. All functions that happen automatically, without our controlling them. Breathing is the only function of the ANS that we can consciously control. And this is what makes the breath so powerful. Proper breathing activates the parasympathetic nervous system (rest + digest), which calms the sympathetic nervous system (fight or flight). By starting to breathe slowly, we signal to the brain to relax. This slows the release of adrenaline and cortisol, and increases the release of endorphins (the feel-good chemicals that are also released when you exercise). Deeper breaths also help to fully oxygenate your brain and body, allowing your heartbeat to slow and your blood pressure to stabilize. Any breathing practice that slows and deepens your breath will help to shift you from fight or flight mode to rest + digest mode. 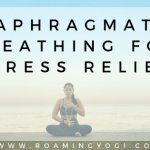 One of the simplest breathing exercises for stress is diaphragmatic breathing. If you’ve ever observed a child’s breathing, you might have noticed that their belly rises and falls, rather than their chest. 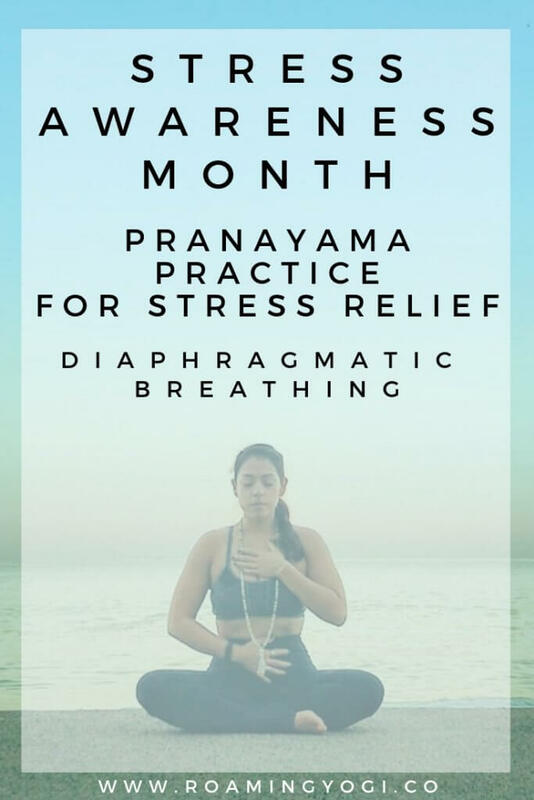 This is diaphragmatic breathing – we used to do it all the time, until we started breathing into our upper lungs and chest, rather than utilizing the our full lung capacity. The driving force behind these deep, belly breaths is the diaphragm. The diaphragm is a dome shaped muscle that kind of looks like the top of a jellyfish, and it sits just below the lungs. When we breathe in, the diaphragm contracts and moves down into the abdominal cavity. This movement lowers the pressure in the thoracic cavity (the chest cavity), allowing air to enter the lungs (since the lungs can’t inflate on their own). When breathing out, the diaphragm relaxes and moves back up into the thoracic cavity, allowing air to leave. When we utilize the diaphragm properly, we increase the efficiency of the lungs; meaning, we use the lungs to their full capacity. Using the lungs to their full capacity means a slower, more regulated and expansive breath. And that’s exactly what we’ll do in today’s pranayama practice – a variation on diaphragmatic breath called a rolling breath. 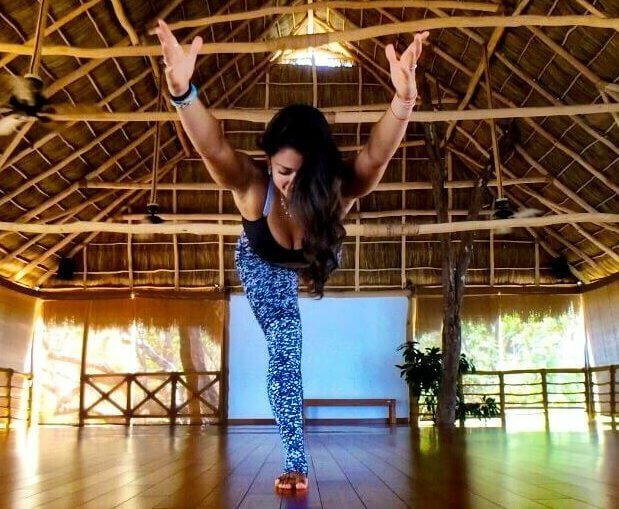 A breathing practice designed to put a stop to your fight or flight mode and turn on your rest + digest mode.